Air-conditioning has been an essential electrical appliance among the households in Singapore due to its extremely hot weather. The only appliances that could beat the heat is the air-conditioner. It is capable of producing cooling air that is able to cool down your room temperature and make it a comfortable and cooling environment for you to live in. Other than cooling your room, it also helps to improve the humidity level of your room by removing the excessive humidity. The air-conditioner is not only popular among households, it is also widely installed in offices, shopping malls and schools fight off the extreme heat in Singapore. When there are pros, there will be cons. The drawback of an air-conditioner is that it requires regular servicing from good aircon servicing Singapore company to clean the different parts of the unit and also regular checks to ensure that the unit is operating properly and efficiently. However, you do not have to worry all these, with the help of Wei Wei Aircon, your regular servicing and maintenance will be fast and effortless. You will just sit back, relax and enjoy the cooling air while we will do all the work for you. If you are looking for effective and reliable aircon servicing, engage in our service today. In our aircon servicing, every detail of the service maintenance is done by our qualified and experienced team of technicians. By engaging in our professional air-conditioning servicing, the chances of your units experiencing breakdown during the extremely hot weather will be reduced. Other than that, regular checks up during the maintenance are able to spot potential problems in your air-conditioner and get it rectify on the early stage. By solving the aircon problems earlier, it will reduce the chances of the problem worsening or your units being malfunctioned which could lead to hefty cost of repair. 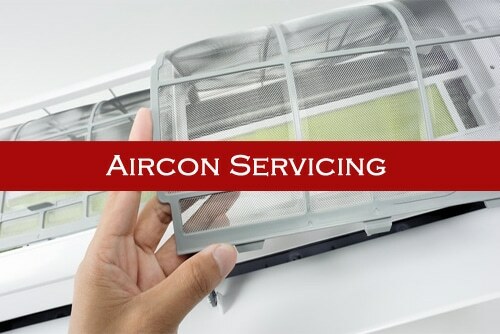 As one of the experienced aircon contractors in Singapore, we provide a wide range of aircon services and we will definitely meet your aircon needs. If you ever feel that your aircon is not cold or is leaking water, you should engage the professional aircon company for regular maintenance and cleaning of your unit, as well as a thorough check on your units. To book a reliable aircon servicing in Singapore, feel free to contact our friendly staff for assistance. Regular air-conditioning servicing is essential for maintaining your air-conditioner units, but aircon chemical wash is also needed from time to time to regain the cooling functionality of your air-conditioner. A chemical wash will thoroughly wash your air-conditioner with chemicals, this will ensure that all the dirt, dust and debris that have accumulated in your unit is washed out, your piping are cleared and your unit is in good working condition and operating efficiently. Aircon servicing will clean the air-conditioning units with non-chemical products to service and clean the different parts of the units. However, in a chemical wash, we will wash and flush the aircon system with chemicals. Despite the difference in the cleaning process, both aircon services are essential in maintaining your air-conditioning system. Air-conditioning servicing is necessary for regular maintenance while a chemical wash may not be as often as the air-conditioning servicing. Since there are many different aircon services provided, if you are unsure of which type of services you requires, it’s best to contact us for assistance. Our staff will advise you on the most suitable services depending on your aircon needs and the condition of your units. General aircon servicing is one of the popular aircon services engaged by households in Singapore. Regular servicing is able to help to upkeep your air-conditioners by keeping it clean and efficient. It also have many benefits which will be discussed below. If you would like to find out our air-conditioning servicing price or book a servicing appointment with us, you can contact our friendly staff for assistance. With the rising hot weather in Singapore, air-conditioner servicing is essential in maintaining your units to keep them in good working condition. By having regular maintenance and servicing not only help your units to operate more efficiently, but it also helps to detect any potential problems that may surface in the future and get it rectify in earlier stage. Aircon servicing Singapore is a completely safe service that has many benefits such as keeping your units clean and extending the lifespan of your units. You may feel that proper checks on your air-conditioner units is not essential, but at Wei Wei Air-Con, we ensure that proper checks on your unit is done to detect potential problems so that your units won't experience sudden breakdown issue. In addition, we check for possible leaks that may harm your interiors such as floors or walls and if needed, our staff is able to perform repair jobs. Therefore, with the rising heat in Singapore, it is important to have your aircon serviced regularly in order to keep it in good working condition. Regardless of your aircon is for your home or office, the logic applies where regular maintenance is required. General servicing not only help to keep your air-conditioning system clean and ensuring a cleaner air, but it will also help to keep your units running properly, preventing your units from sudden breakdowns and extend the lifespan of your units. Other than providing general aircon servicing, Wei Wei Aircon also provide aircon repair, maintenance, chemical wash, installation and many more, we aim to be your one-stop aircon contractor for your air-conditioning system. Contact us for reliable and professional aircon services for your air-conditioning units today!